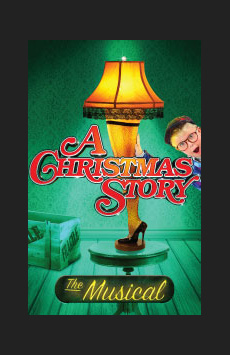 What Is the Story of A Christmas Story? Based on the classic 1983 holiday movie, A Christmas Story follows nine-year-old Ralphie Parker, a daydreamer from Indiana who spends his days counting down to the most exciting day in any kid's life: Christmas. All he wants is an official Red Ryder Carbine-Action 200-shot Range Model Air Rifle, but as his parents and teachers warn him, “You’ll shoot your eye out!” A Christmas Story chart’s Ralphie’s desperate quest to ensure that his perfect gift ends up under the tree on Christmas morning.